Have you noticed it? There is a chill in the air (at least here in the Northeast) today . . . finally! I am ready for the lovely cool weather that comes with the beginning of winter. Not crazy cold, mind you, but just that glorious crisp sunny day requiring a cozy jacket, scarf and a cup of hot cocoa. Perfect, right? 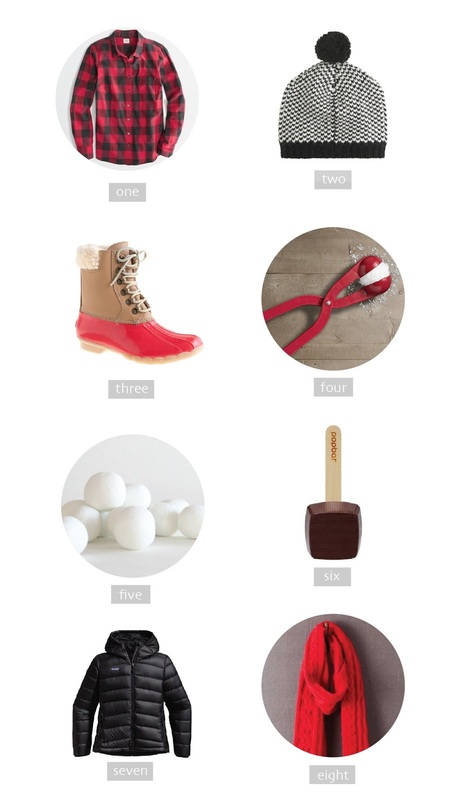 Here are some of my favorite picks for snuggling in and keeping warm as the temperature drops. . .
one | jcrew factory flannel shirt, sold out!